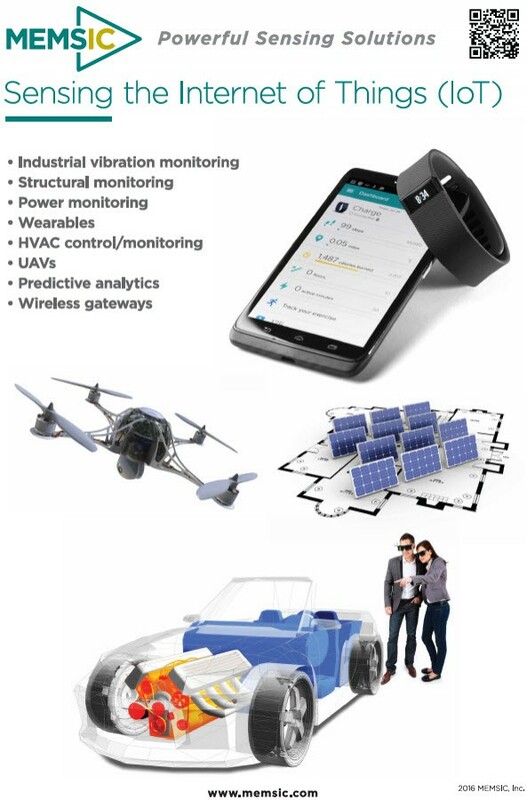 The MEMSIC product line enables mobility and the Internet of Things (IOT) by combining all the essential elements for engineers’ application needs, including solutions for drones, mobile, wearable, industrial, medical and smart parking applications. 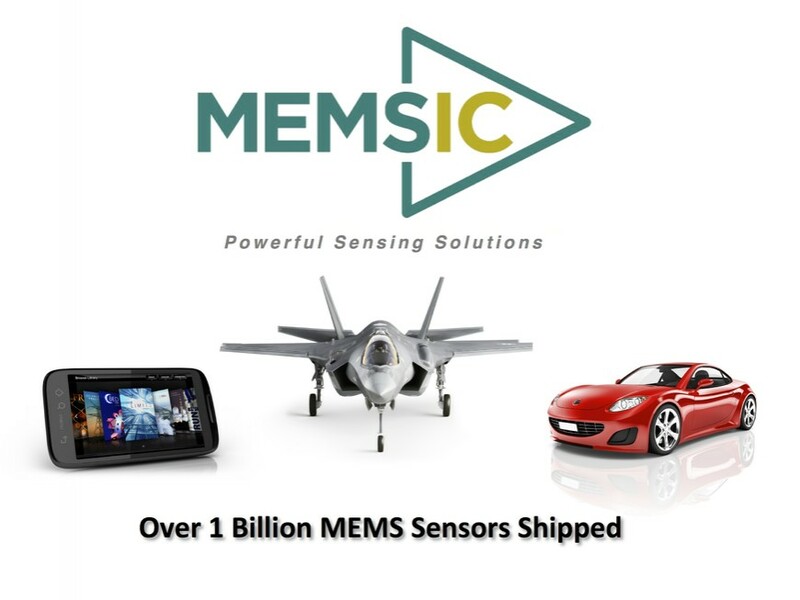 The MEMSIC product line at Mouser Electronics features a variety of sensor products, including magnetic and e-compass products, accelerometers, 6-degree-of-freedom (DOF) and 9-DOF inertial measurement units (IMUs) and orientation sensors, and gas flow modules. April 17, 2017 – Mouser Electronics, Inc. announces a global distribution agreement with MEMSIC Inc. MEMSIC is a world leader for the consumer electronics, communications, automotive, medical and industrial sensing sectors. Through the new agreement, Mouser will distribute MEMSIC micro-electromechanical systems (MEMS) sensors to customers worldwide. The MEMSIC product line enables mobility and the Internet of Things (IOT) by combining all the essential elements for engineers’ application needs, including solutions for drones, mobile, wearable, industrial, medical and smart parking applications. 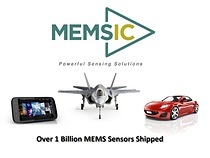 The MEMSIC product line at Mouser Electronics features a variety of sensor products, including magnetic and e-compass products, accelerometers, 6-degree-of-freedom (DOF) and 9-DOF inertial measurement units (IMUs) and orientation sensors, and gas flow modules. The MEMSIC MMC5883MA Anisotropic Magneto Resistive (AMR)-based three-axis magnetic sensor provides the industry’s highest accuracy, lowest noise, and lowest power consumption. The sensor provides 16-bit operation over a wide ± 8 Gauss operating range, and features linearity of ± 0.2 percent full scale range (FSR), hysteresis of 0.2 percent FSR, and repeatability of 0.2 percent FSR on each of its three axes. It exhibits extremely low current consumption of only 20µA at a data rate of seven samples per second and extremely low noise level of only 0.4 mGauss total RMS noise. Combining this performance in an industry-standard small LGA package the sensor addresses the ever-increasing demands of industrial and drone applications. The ultra-low-cost MXC6255XC/U DTOS accelerometers are two-axis motion and orientation sensors, based on MEMSICs proven MEMS thermal technology. The DTOS accelerometers allow designers to integrate key user interfaces, such as programmable “shake to change” menu navigation, TV/music channel selection, and vertical/horizontal picture orientation. The devices can also provide some basic game play control, fall-over detection in irons and other appliances, and other applications in mobile devices, toys, and consumer electronics. The MFC2000 bi-directional digital MEMS gas flow sensors are more durable and provide high levels of measurement repeatability when compared to existing diaphragm or turbine-based gas flow meters. The silicon-based devices offer great power consumption characteristics, such as sleep-mode currents as low as 1 µA and typical operating currents of 3 mA. Other benefits include low 2.7 V–5.5 V supply operation, wide dynamic range with 3-percent or better accuracy, and the ability to provide the necessary performance over a 100:1 flow range. The architecture of the mass flow sensor modules is highly customizable for different flow rates and form factors optimized to application requirements. The gas flow sensors reduce the need for specialized machines in care centers, and enable gas flow-related medical equipment to be economically introduced into the home medical market. For more information about MEMSIC and its products available from Mouser, visit www.mouser.com/memsic/.